The Eclipse Cross is an all-new offering for 2018. It features a 152-hp turbocharged 1.5-litre four-cylinder, updated technology, and expressively shaped bodywork, all aimed at giving Mitsubishi relevance in the burgeoning SUV scene. This SUV isn’t just a pretty face. 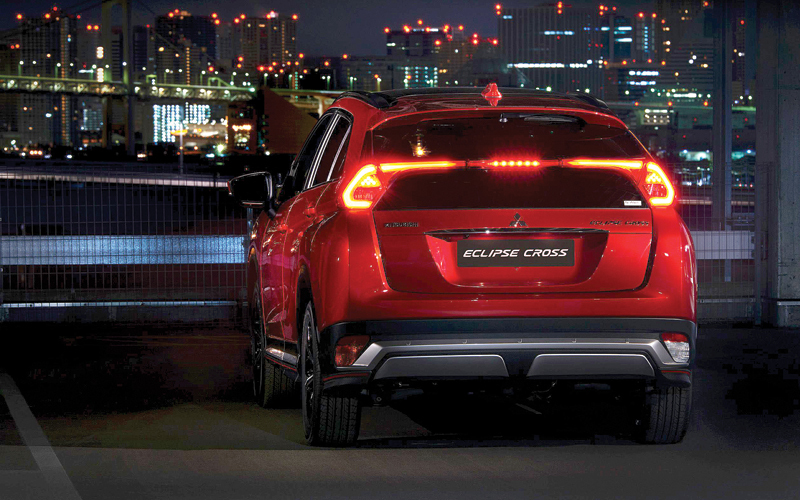 Unique LED rear lighting enhances visibility with a lower line of sight and highlights the equally distinctive tail styling of the Eclipse Cross. The efficient rear window design allows for more rear cargo space, too. On the inside, you’ll experience an abundance of high-quality materials and silver-accented details. Luxurious features such as heated rear seats, leather seating surfaces, leather-wrapped steering wheel, and shift knob and heated steering wheel are also available. Front-passenger space is average, but rear-seat space feels greater than the measurements suggest. 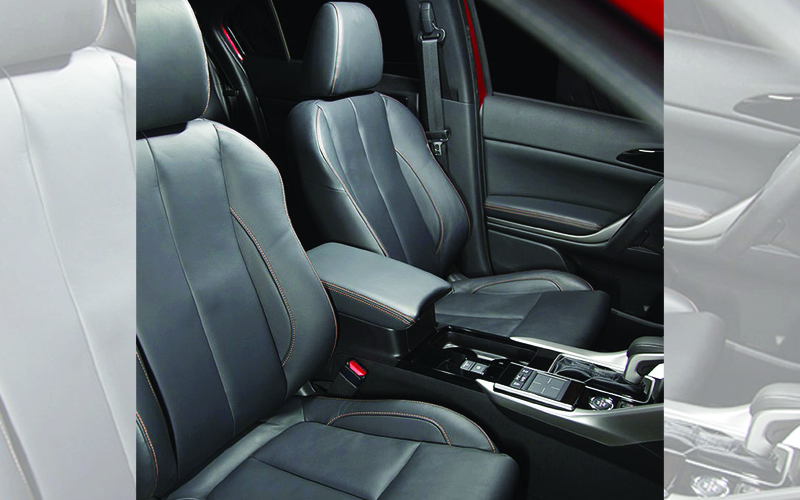 Headroom and legroom measurements are lower here than in rival crossovers, but there is significant room under the front seats for the rear-seat passengers’ feet, thereby increasing the feeling of roominess in the second row. To enhance the driving experience, the Eclipse Cross is equipped with premium features such as a power panoramic sunroof, a 710-watt Rockford Fosgate sound system, the Multi-View Camera System (MVCS), paddle shifters, dual-zone climate control, and Head-Up Display.